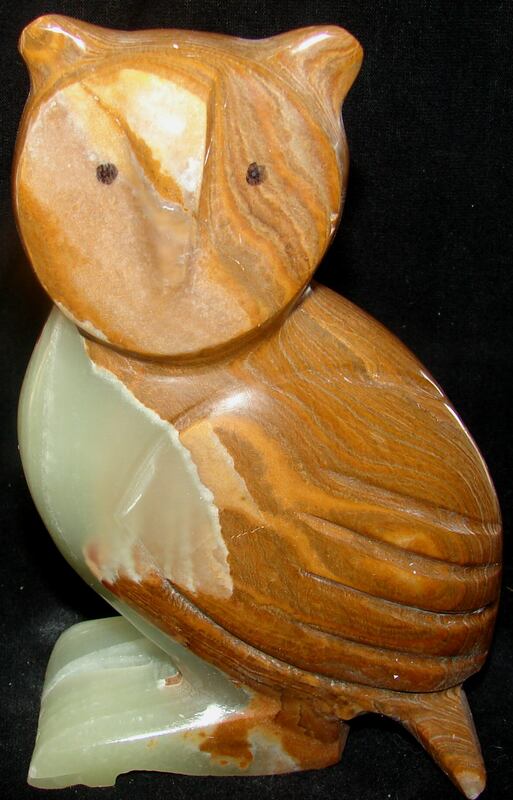 Welcome to our Carved Onyx Owl page! 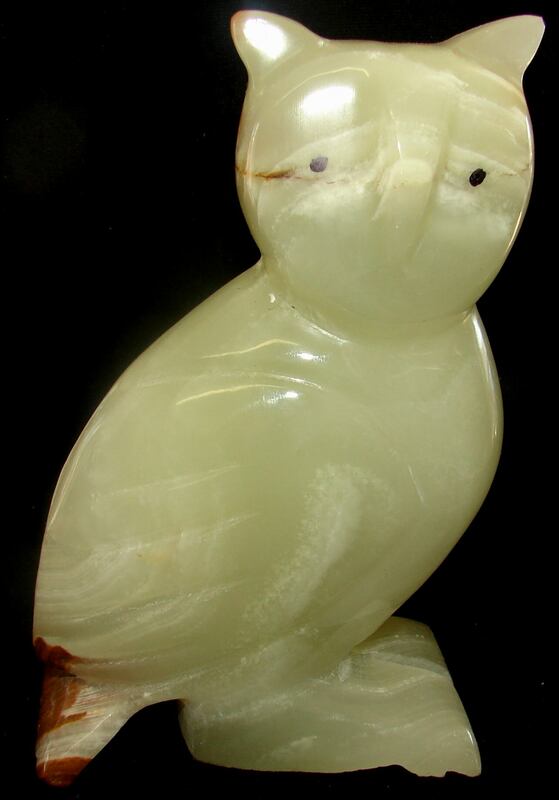 These little critters are hand-carved and polished from banded onyx. For a larger picture and secure order page click on any picture. Thank you for looking at these cuties. Large Owls, approx 6 inches tall. These are approx 2 1/2 inches wide and 3 inches tall. These are approx 1 3/4 inches wide and 2 1/4 inches tall.